Holland Village, with its street of bars and bistros, is known to come alive at night. 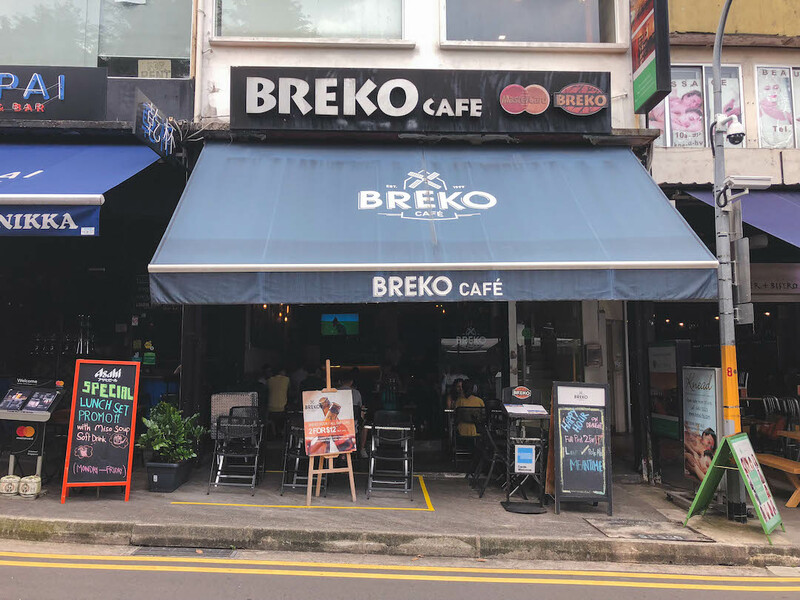 In the day however, it is quiet and empty, with the exception of one storefront that is bustling with activity — Breko Cafe. Unlike the rest of its neighbours, Breko Cafe is up and running to serve their customers all morning and afternoon. 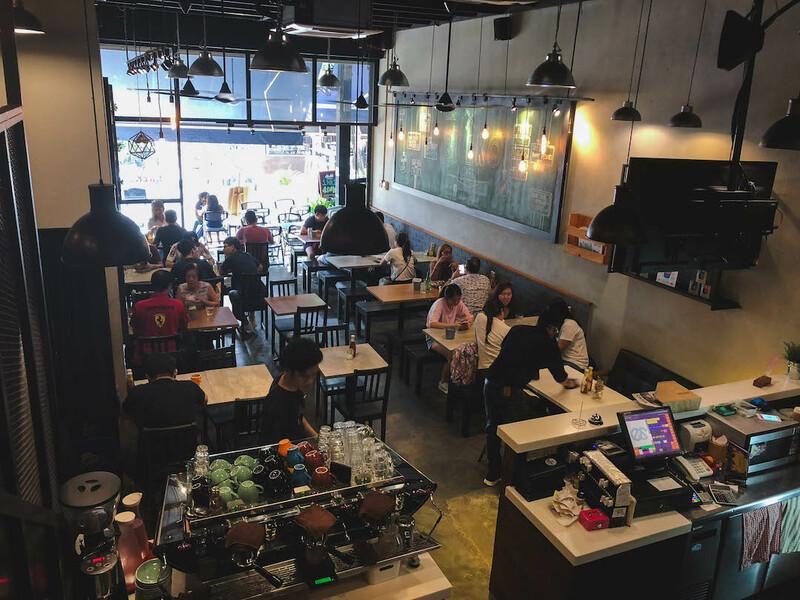 Whether it be for a morning cuppa or a lovely brunch, Breko Cafe consistently draws a decent crowd. Breko Cafe offers the standard espresso-based drink menu, with minimal variations available. They use beans from La Ristrettos, another local café. As usual, I ordered a cappuccino. It was served to in a pretty teal cup and saucer. However the coffee itself was so dark, it could have passed off as a mocha. Disappointingly, it wasn’t very impressive taste-wise either. 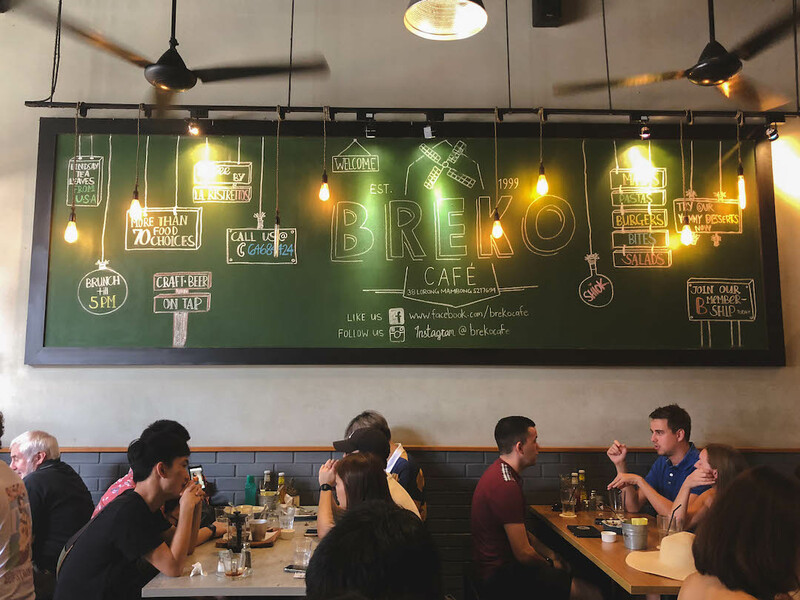 Instead of the increasingly popular ‘white and bright’ aesthetic adopted by many cafés these days, Breko Cafe has gone with a dimmer, more cozy theme, with hanging lights that provide just enough warm lighting. 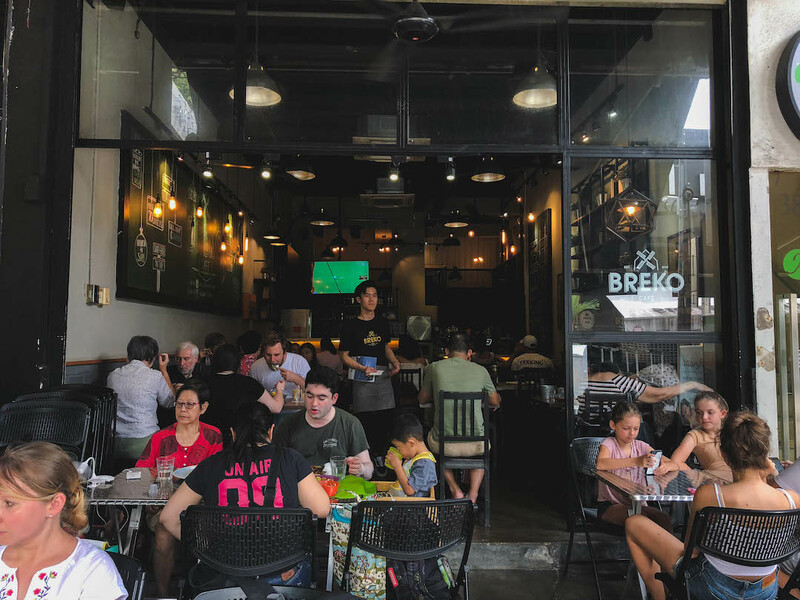 Even so, Breko Cafe does not feel cramped or small. The café has a very high ceiling, and they have strategically used that space to build a roomy loft to seat more customers. Each table is decorated with dried flowers in a vase, which somehow doubles the aesthetic of every photo you take of your food order. Don’t believe me? Check out the photos below and judge for yourself! 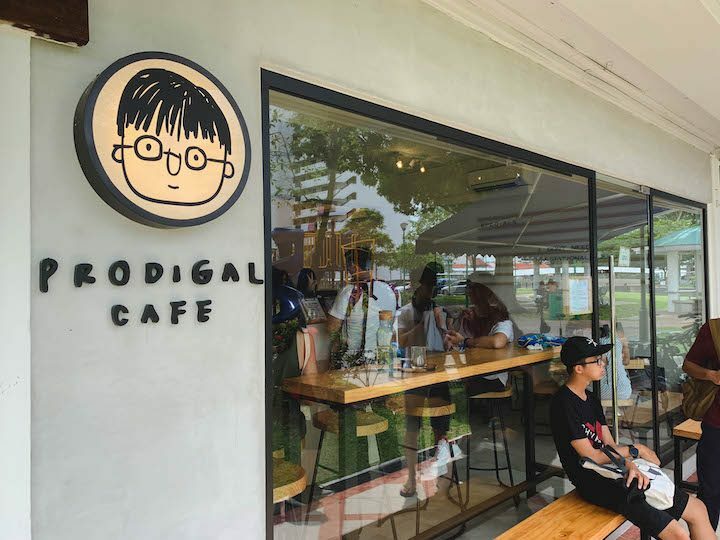 Despite the perpetual crowd all morning and afternoon, there was never a long waiting line; the café easily accommodates for big and small groups alike. For fans of alfresco dining, there are a few tables outside the café. These tables are fully sheltered by the canopy extended over the storefront. So there’s no need to worry about getting wet from rain or getting an unwanted tan. Inside the café, further to the back, there’s a staircase leading up to the loft area. The loft is furnished with comfy sofa seats, low coffee tables and a magazine rack, making it the perfect chill-out zone. 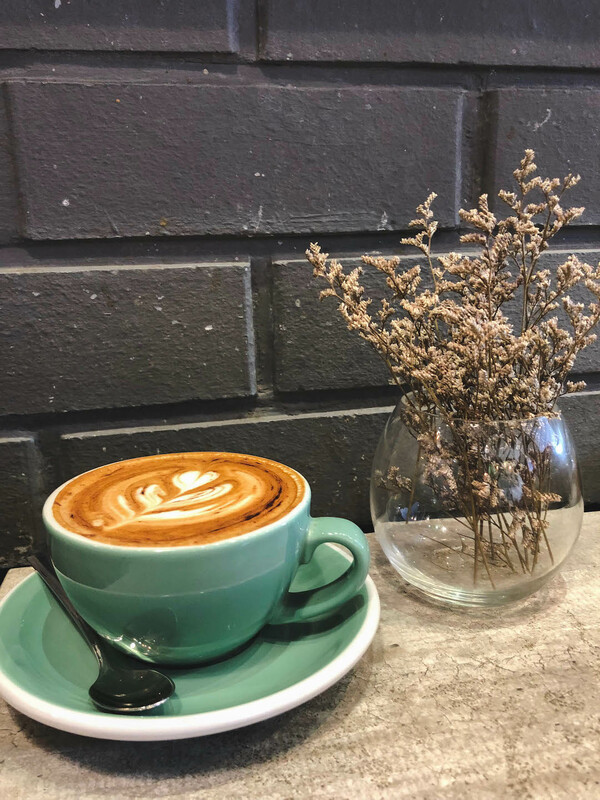 At $5 for a cappuccino, the prices seem pretty standard at first, but after adding GST and service charge, you realise you end up paying an above average price for an average cup of coffee. 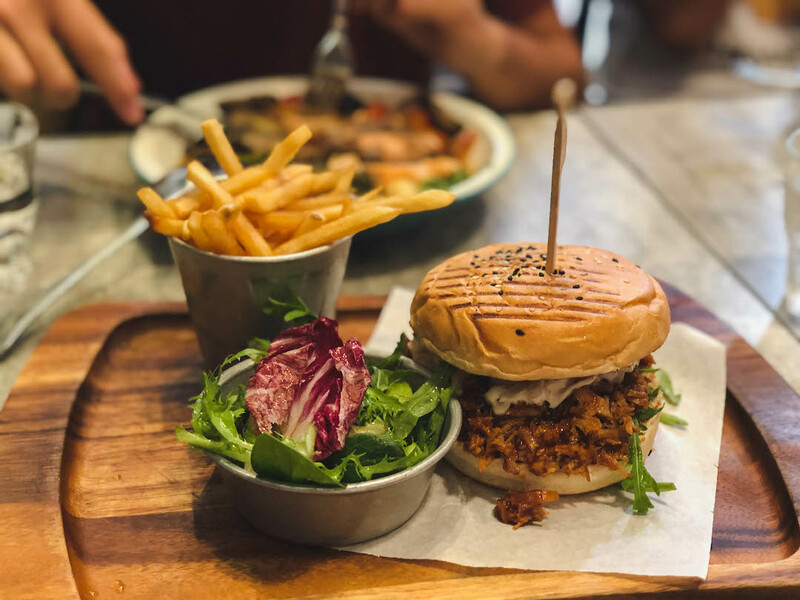 Food wise, be ready to fork out somewhere between $8 - $18 for brunch items, $14 - $19 for main course items and $9 - $15 for desserts (not inclusive of GST and service charge). 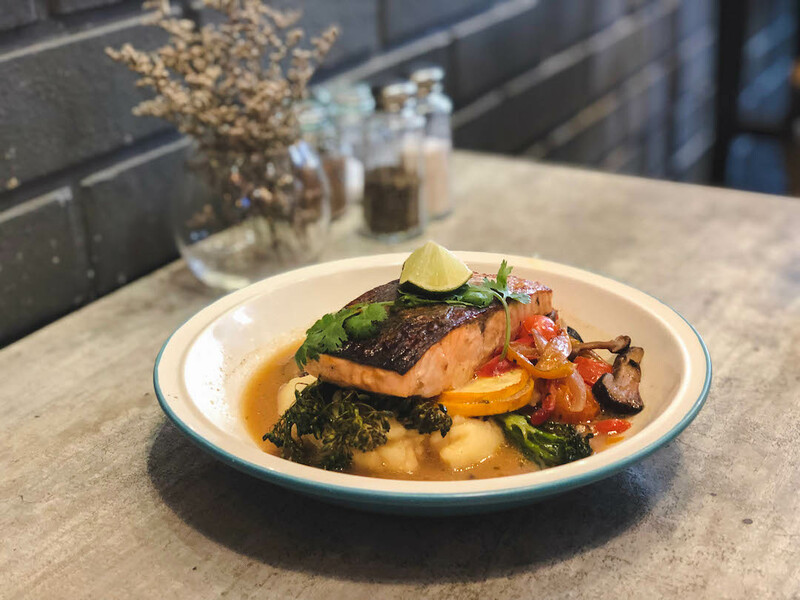 When it comes to food, you’ll be spoiled for choice at Breko Cafe. 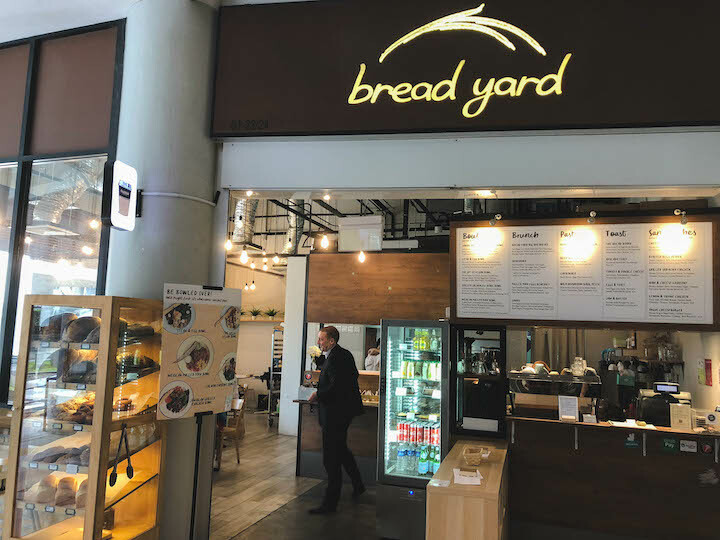 Not only do they serve brunch daily till 5pm, they also boast a large variety of western dishes — pastas, burgers, salads and light bites. Dessert-hunters will not be disappointed, as Breko Cafe has a full page on the menu dedicated to desserts. 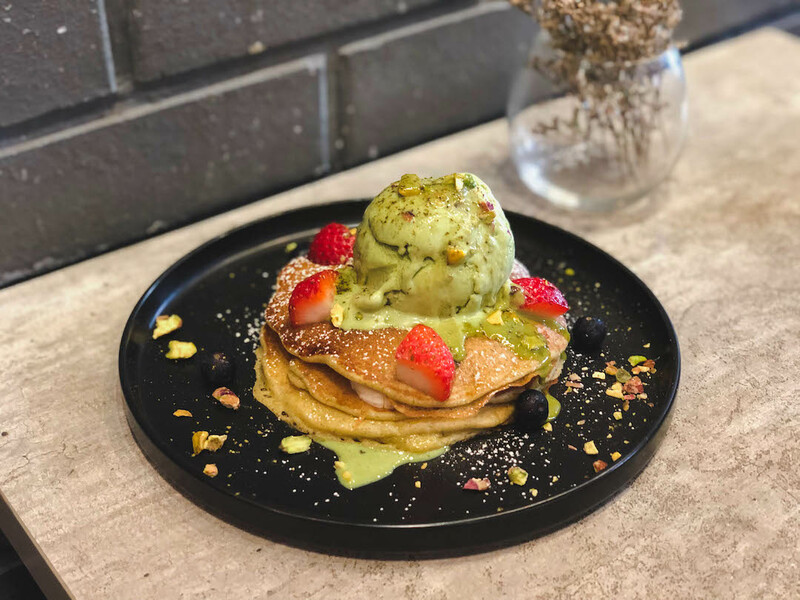 I tried the Matcha Pancakes, one of their recommended dishes. Carefully arranged on a black plate, the dish was satisfying to both my eyes and my sweet tooth. On another note, non-coffee drinkers, rejoice! The drink menu has quite the spread, including teas, milkshakes and sodas. Breko Cafe also serves a variety of beers and ciders, for those looking to quench their thirst with a cold one. Though their coffee isn’t fantastic, everything else about Breko Cafe sure is. With ample seating, lots of drinks, and even more food, this has been one of my favourite lunch destinations for a long time. 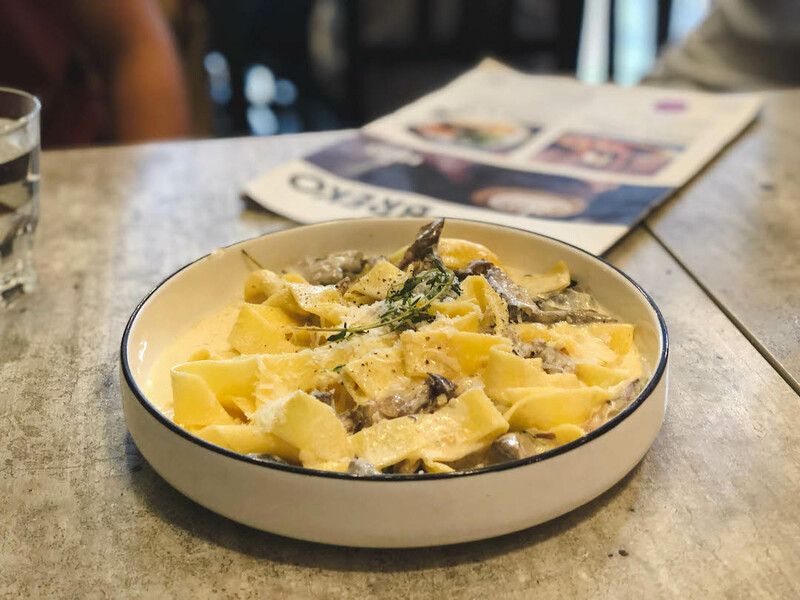 Give Breko Cafe a shot and you might just find yourself returning again very soon!